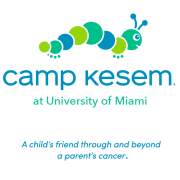 South Florida's local chapter of Camp Kesem is operated out of the University of Miami, and we offer free of charge, week-long summer camp to children coping with a parent or guardians's cancer in addition to year-round support programs. If you are interested in learning more, please feel free to contact us at miami@campkesem.org. Would you recommend Camp Kesem at University of Miami?